Should be called "Starter Kit"
I bought this because I wanted to learn to reface sax mouthpieces; I'm a player first and foremost, but thought it would be an interesting hobby plus I have many mouthpieces I don't use, of varying quality. Also, there's no work surface included (also essential). Once again, available separately, ¤66!! About the only worthwhile piece of equipment is the Tip opening gauge which allows a quick, accurate measurement of, you guessed it, tip openings. But not worth ¤240. 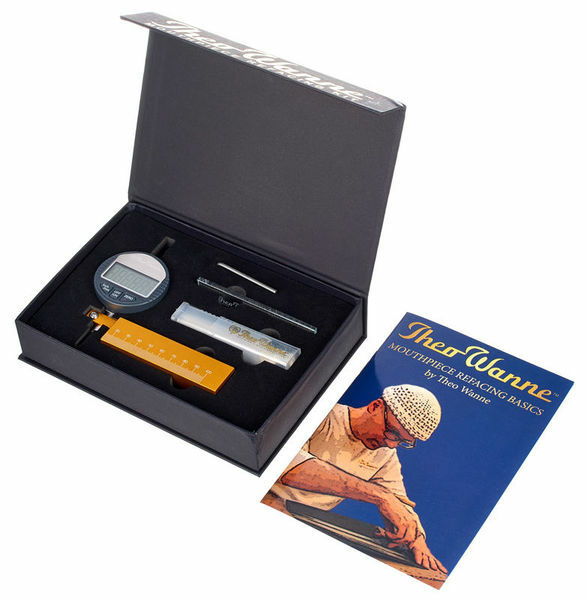 the only valid thing of the kit is the glass Measuring gauge and the digital measuring device. The feelers have rusted after a week and the book is useless, even the curves for soprano seem even wrong. ID: 415383 © 1996–2019 Thomann GmbH Thomann loves you, because you rock!